Mix all the ingredients of the marinade into a bowl. 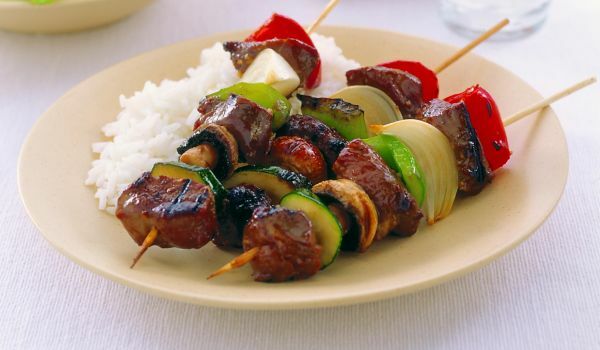 Mix it thoroughly and marinate the lamb cubes and remaining ingredients for about 5 hours. Skewer the pieces and grill over fire till they turn reddish brown. This is a very tasty menu, enjoyed every bit of it.